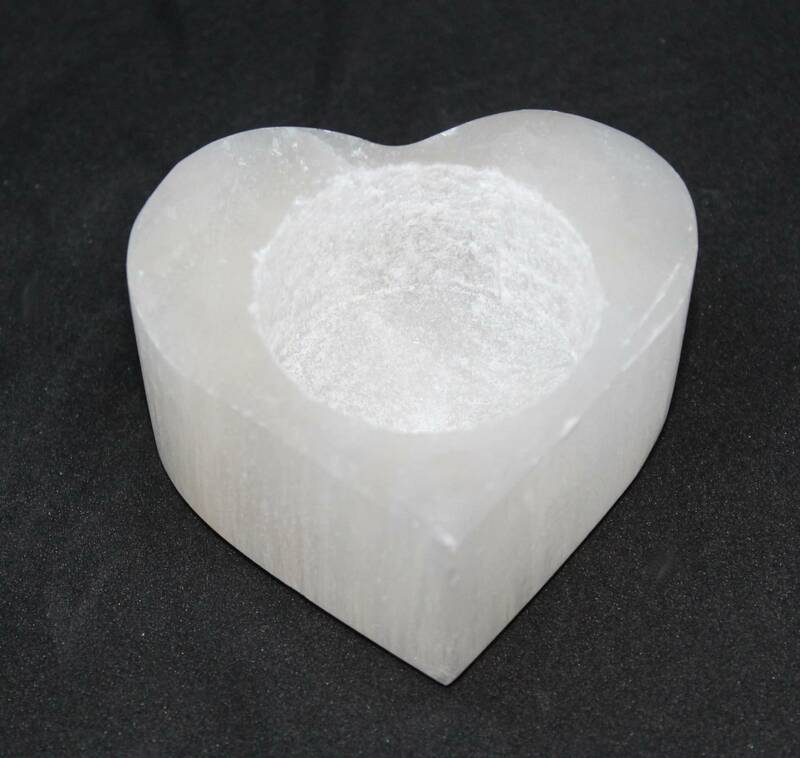 Selenite Heart tea light holders, available in two sizes. 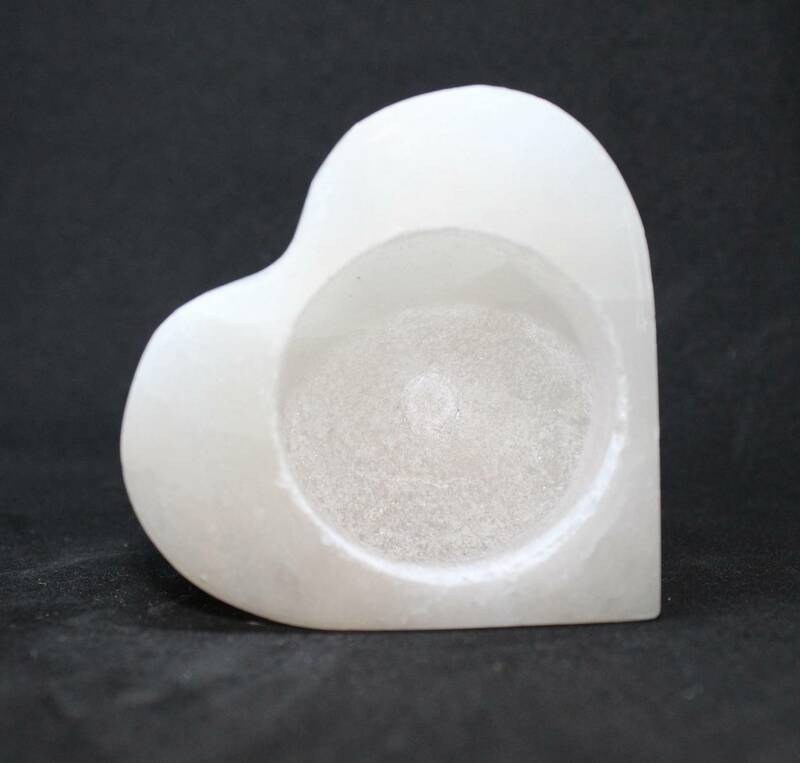 Carved Selenite heart tea light holders, available in two sizes – approximately 60MM and 100MM across respectively. As these candle holders are cut from a single natural piece of Selenite, the shapes and weights will vary from piece to piece. They are gorgeous, either with a regular tea light or a coloured LED tea light. I do personally recommend the LED tea lights; it’s easier than removing wax from your crystals. However, we do supply a free tea light candle with these whenever possible.